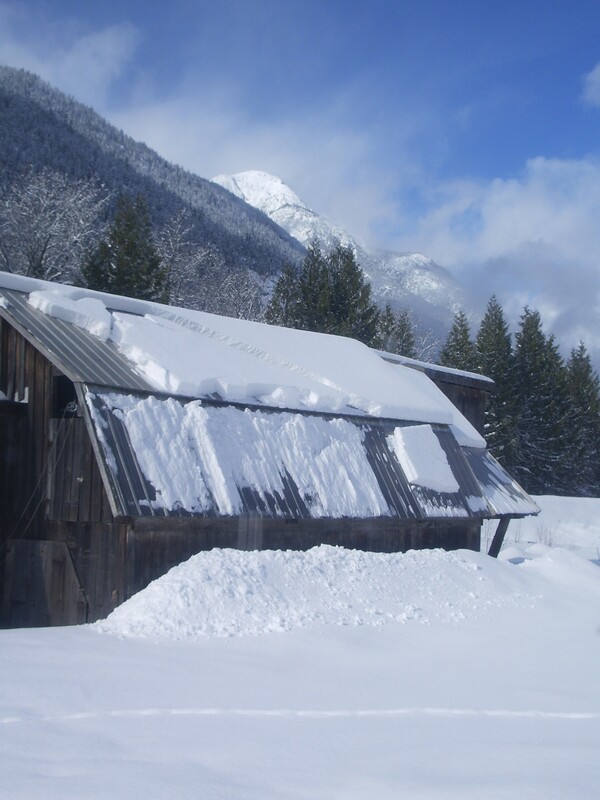 We have many friends farming throughout the Fraser Valley and Vancouver Island and while we might only be a few hours away, the climate here is significantly different. 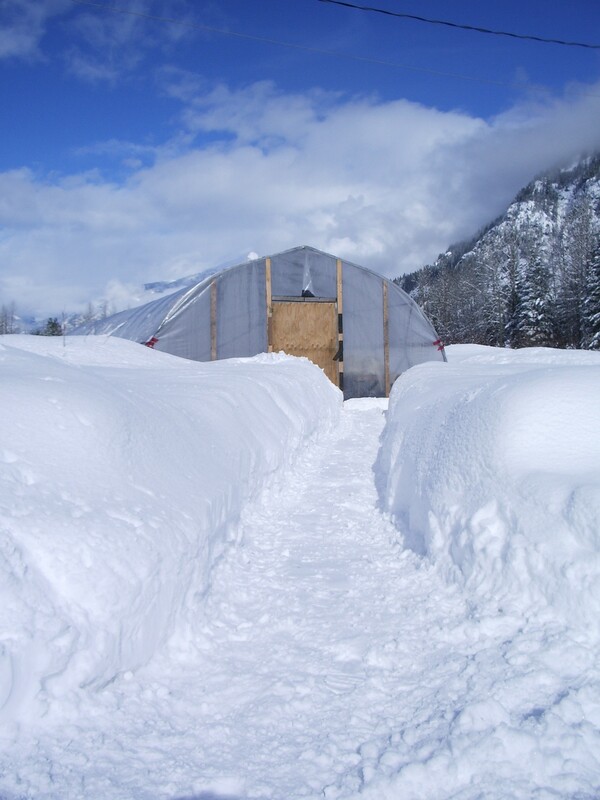 As they are starting seeds in their greenhouses and planting cool weather crops in their fields, we are still looking at 3 ft. of snow! Apparently there is a local saying ’round these parts that goes: on March 1 if you measure the depth of the snow (in inches) that will be the number of days until the snow is gone. Well, out of curiosity we did just that and based on our 39″ measurement, we will not being seeing our soil until April 8! And that’s just seeing, that does not include the time it takes for the soil to dry out enough for us to get on the field with a tractor without compacting the soil. At any rate, we are starting our onions, celeriac and asparagus next week with the hope that we can plant them out in mid April. Thank goodness for our greenhouse and grow-lights! 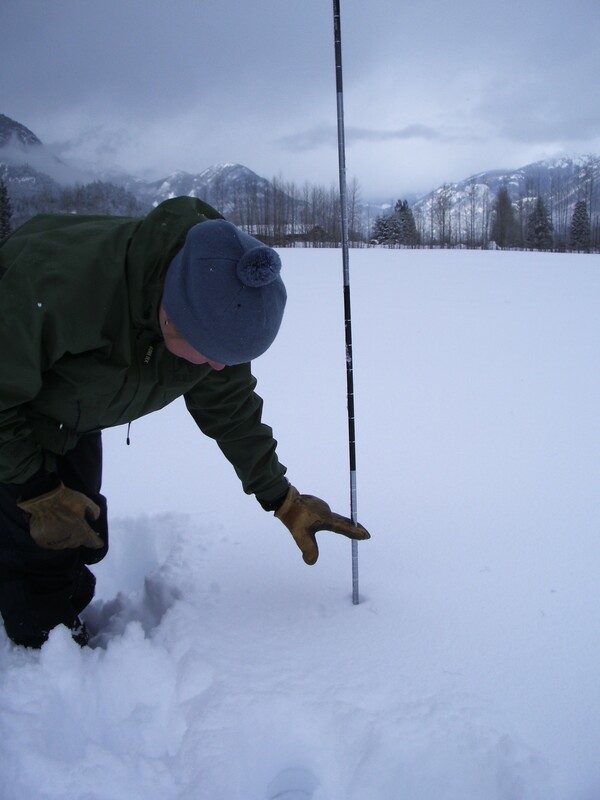 Simone measuring the depth of the snow… 39″! 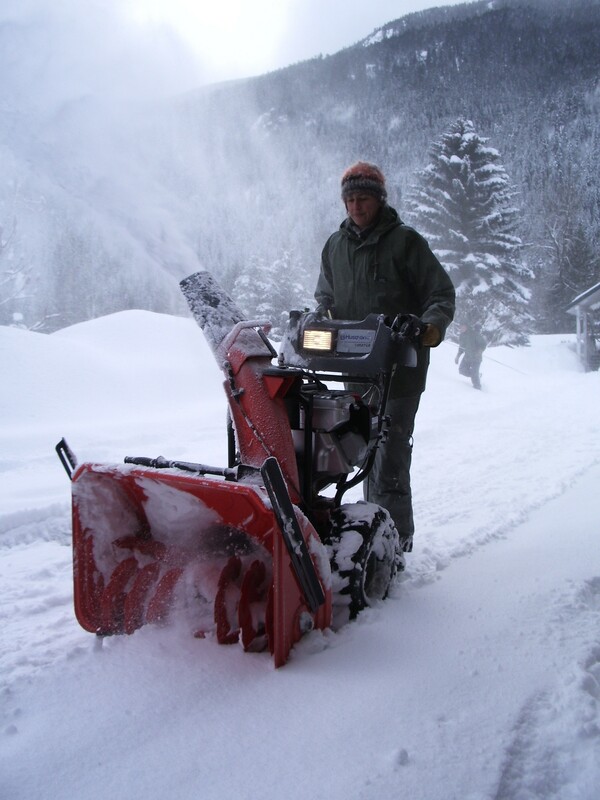 I bet the snow is gone by April 1st-if not I will treat everyone at the farm to dinner at The Pony! Keep safe & warm.